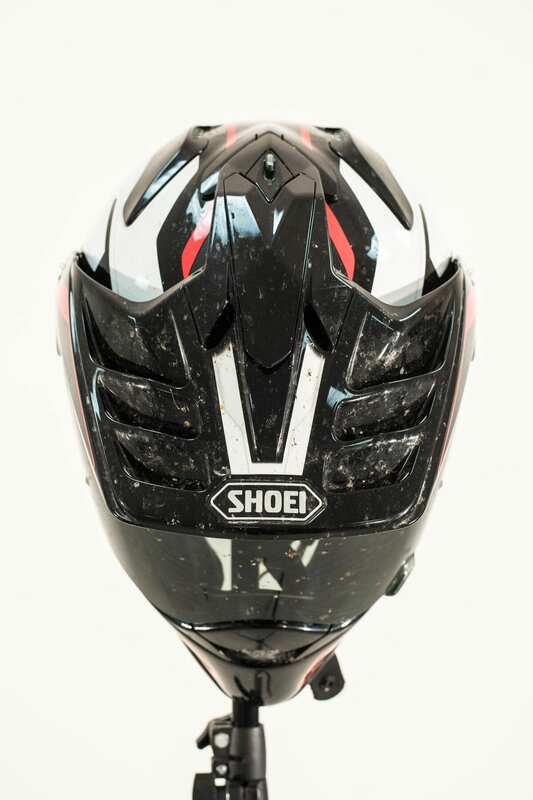 I’ve been testing Shoei’s adventure lid relentlessly over the past four months – before this I had the original Hornet for a few years, but I’m already much more of a fan of the second generation product. Why? For lots of reasons, with the biggest draw being the visor detachment system; I ride a lot of green lanes, but I also do motocross. I wear goggles for the latter, whereas a visor’s my preference when there’s road miles to be ridden. 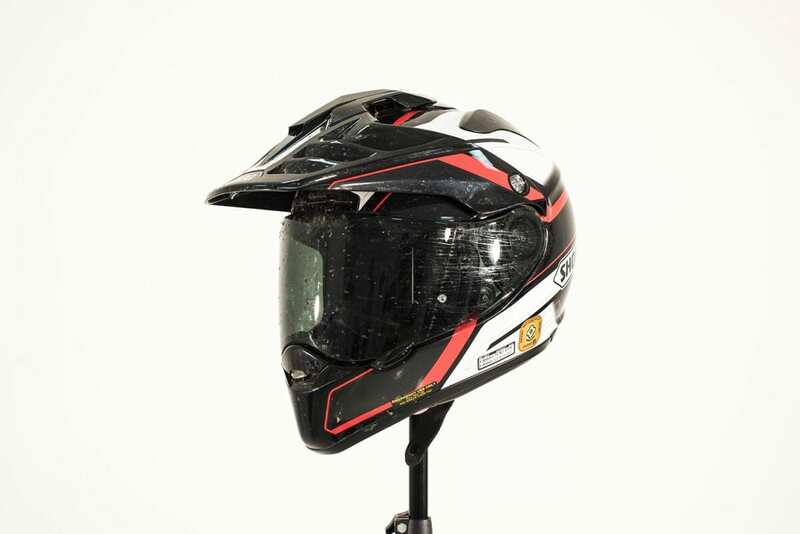 The problem with the old lid, and on the rival Arai Tour X-4, is that you have to physically unscrew the peak and the visor system on those models, before bolting the peak back on separately once the visor’s removed. It takes forever, and each time you repeat the procedure, you risk damaging the slots of the soft plastic screws. Or losing them, for that matter. 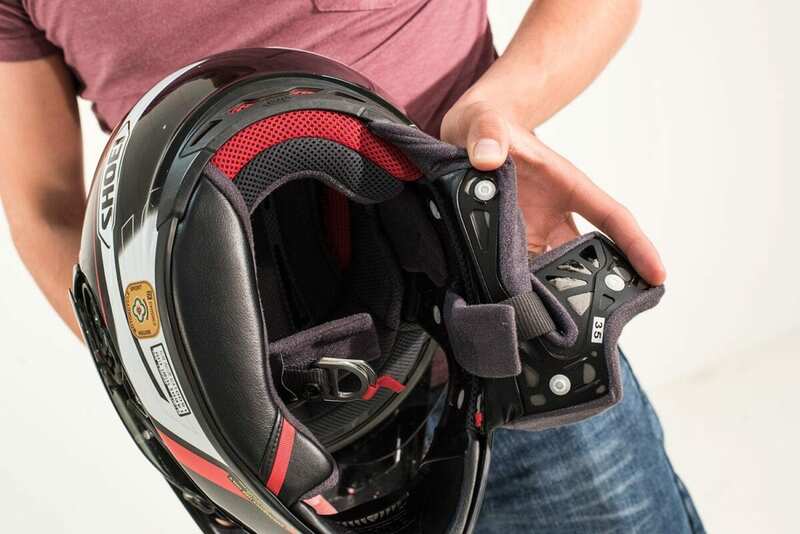 On the Hornet ADV you just pull down a retaining clip – like you would on all road-focused Shoei lids – and the visor pops off, with refitting proving just as easy. 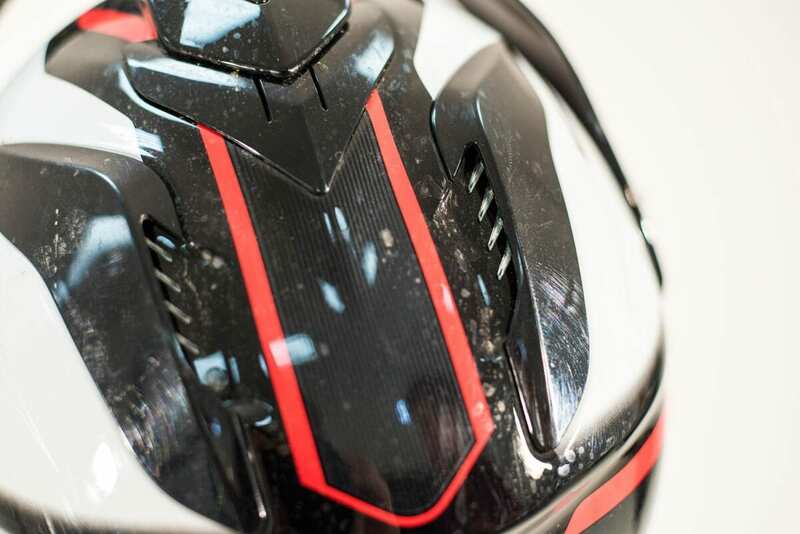 Aesthetically speaking, the ADV is much more aggressively styled than the Hornet that came before it, with the heavily slotted peak being a real stand-out feature on the helmet. Likewise, advancements to the chin and rear vents give the lid a totally different look, and it’s noticeable how much cooler the channelled air makes the product feel when you’re sweating it out off-road. 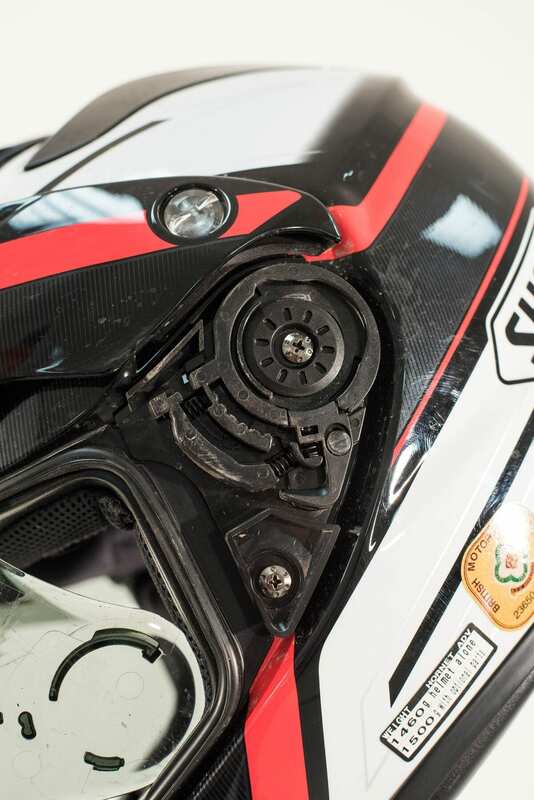 There are now six exhaust vents at the back, and the repositioned chin inlet means that you don’t get a mouthful of muck when you’re riding through really fine dust, because the venting tract is completely different and raised higher in the stubbier chin-bar. I initially suffered quite a bit of discomfort in the ADV, before removing a small amount of padding that sits around the ear. As with the older version, the padding is both removable and washable, so getting to the source of my niggle didn’t take long at all. I’ve already washed the cheek and 3D centre padding a few times, and it’s retained its shape, which is great news for me, because I love the way this helmet feels. The entire inner padding design is different to the original’s, with the biggest benefit being the ADV’s tendency to stay snugly planted regardless of pace. 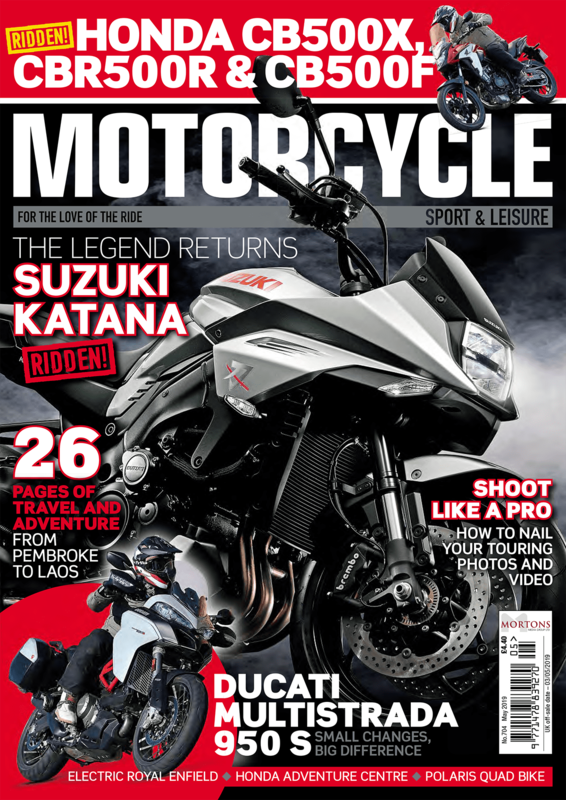 Having recently spent a weekend blasting through trails in the Brecons, I first had to make my way down to the Swansea region from Lincolnshire, riding on a naked bike. If ever there were a test to check the comfort of a peaked lid, this was it. The ADV seems to hold my face more evenly than the original Hornet, which had a tendency to pivot skywards at speed. I also found the new lid to be quieter, and the buffeting was far less. Other points to note are how much easier the vents can be adjusted on the go, owing to their larger tab sizes, and the double-D fastener, which many prefer for its infinite adjustability. A final thing to praise is the toughness of the helmet. 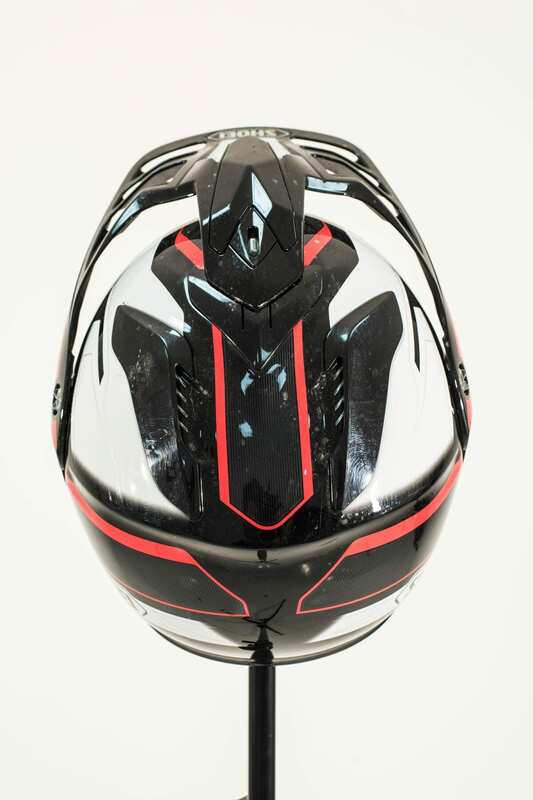 As is often the case on green lanes, it’s natural to find yourself head-butting the odd branch out the way, but nothing so far has even scratched the stunning paint finish on the multi-composite fibre helmet, let alone damaged any of the plastic protruding parts of the ADV. If you couldn’t tell, I’m massively impressed by it.